YOUTH economic pressure group Zimbabwe Entrepreneurs Youth Action (Zeya) had urged local youths to emulate the philanthropic efforts of of global telecommunications group Econet Wireless founder and Chairman Strive Masiyiwa's family whose timely intervention has helped to curb the recent cholera outbreak in Zimbabwe and saved thousands of lives. Zeya president James Pande said Masiyiwa was not only a role model to young African entrepreneurs, but those in the rest of the world and urged youths leaders in the country to embrace him. "We want more Masiyiwas in our country, he is not only the young people's business role model in Zimbabwe, but the rest of the world, that is why in 1998 he was named by the World Junior Chamber of Commerce as one of the 10 most outstanding young leaders of the world,"he said. The Zeya leader reiterated his call for Masiyiwa to break the current post-election political impasse between Zanu-PF and the MDC Alliance by bringing to the table their two leaders President Emmerson Mnangagwa and Nelson Chamisa respectively. "After Rockefeller Foundation president Judith Rodin described Masiyiwa as one of Africa's most influential figures whose good counsel was sought after by world leaders, the youths are saying why can't we engage him broker talks with between Zanu-PF and the MDC. "Broke businessmen and failed political leaders, the likes of Jonathan Moyo, who during their prime time as government ministers failed to build even a creche from their own funds, must leave the Masiyiwas alone. "They are busy attacking them, but they have not done anything to uplift the lives of the young people," Pande said. 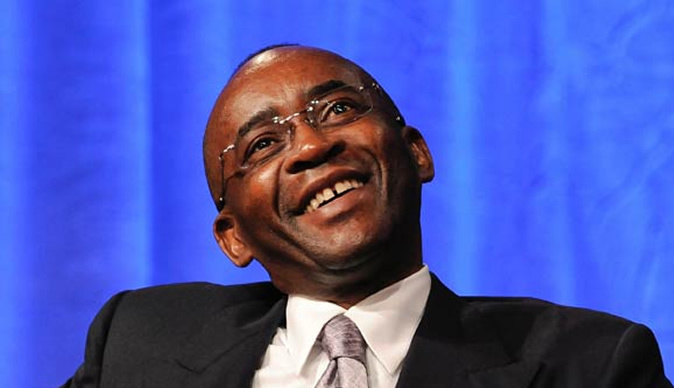 Masiyiwa has received considerable international recognition for his business expertise and is considered one of Africa's most generous humanitarians. In 2014 he was ranked among the top 50 greatest world leaders by CNN's Fortune magazine. The Roman Catholic leader Pope Francis was leading the pack of the world's greatest leaders. In a citation CNN Fortune lauded Masiyiwa as "a persuasive advocate for development opportunities and the creation of strong government institutions." Last year British Prime Minister Theresa May awarded Strive and his wife, Tsitsi with the Points of Light award for their exceptional voluntary service providing education to underprivileged children in Zimbabwe. May praised the Masiyiwas, who are the founders of the Higherlife Foundation, for their philanthropic endeavours in a private letter. In responding to the letter, the Masiyiwas thanked the incredible work done by the Higherlife Foundation team and all their partners for their apart in helping over 250 000 Africans. According to their website, the Higherlife Foundation "is a social impact organisation that invests in human capital to build thriving individuals, communities and sustainable livelihoods. Founded by Strive and Tsitsi Masiyiwa in 1996 out of their personal convictions, heartfelt compassion as well as their personal experiences of orphanhood, we are contemporary Africans moving the African continent forward through opportunities."